5th Bn 'Royal Scots of Canada' 1885-1900. Predecessor unit of Royal Highlanders of Canada. enclosed by a scroll inscribed "NE OBLIVISCARIS" (Forget Not). Last edited by ronmarsden; 20th March 2013 at 17:58. 5th Bn Royal Scots of Canada 1885-1900. 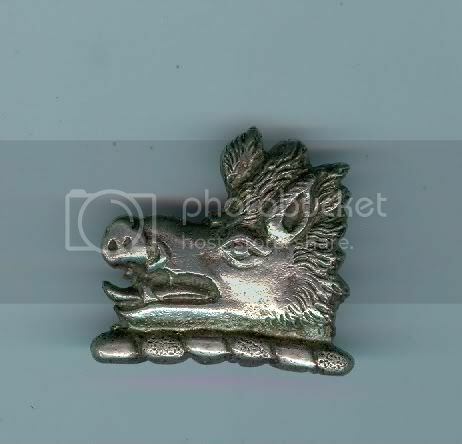 Cast silver boars head device, being a mount from an officers waist belt clasp. "NE OBLIVISCARIS". To the reverse integral cast loops North and South. Also worn as a sporran badge. Ref Brooker 105-18-30. Last edited by ronmarsden; 20th March 2013 at 18:00. Great Stuff as usual Ron . 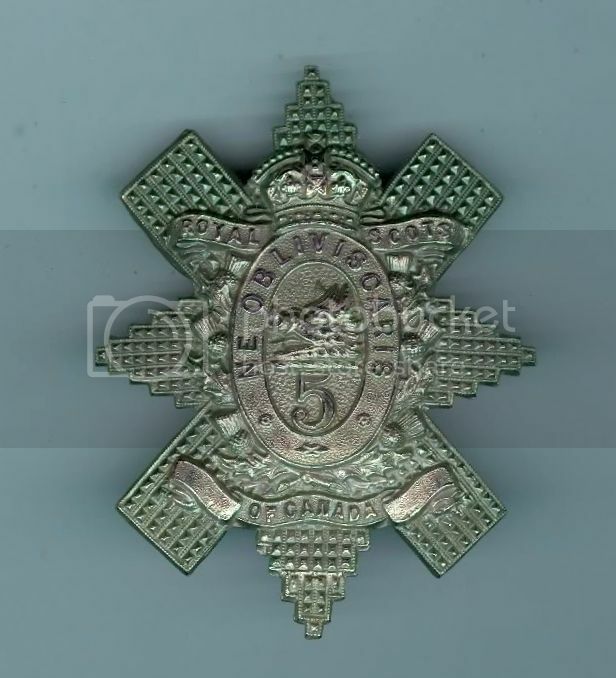 5th Btn Royal Scots of Canada Officers and SNCO's 1885 pattern gilted gilding metal glengarry badge. Last edited by ronmarsden; 30th October 2014 at 11:51. 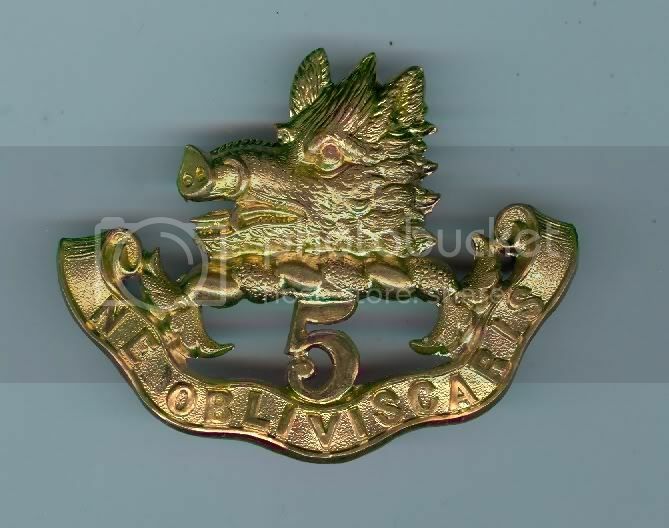 5th Royal Scots OR's glengarry badge 1895-1904. 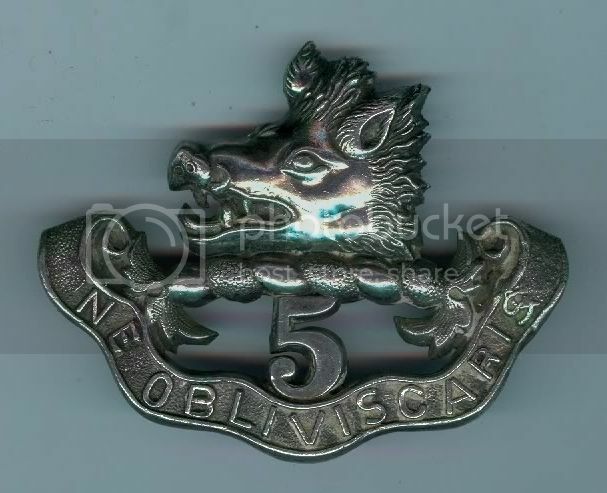 White metal thistle star bearing a wreath and crowned oval inscribed "Ne Obliviscaris"
Boars head to the centre with '5' below, two copper loops to the reverse. Ex Hugh King collection. Ref Brooker 105-11-32. Last edited by ronmarsden; 20th March 2013 at 18:04. 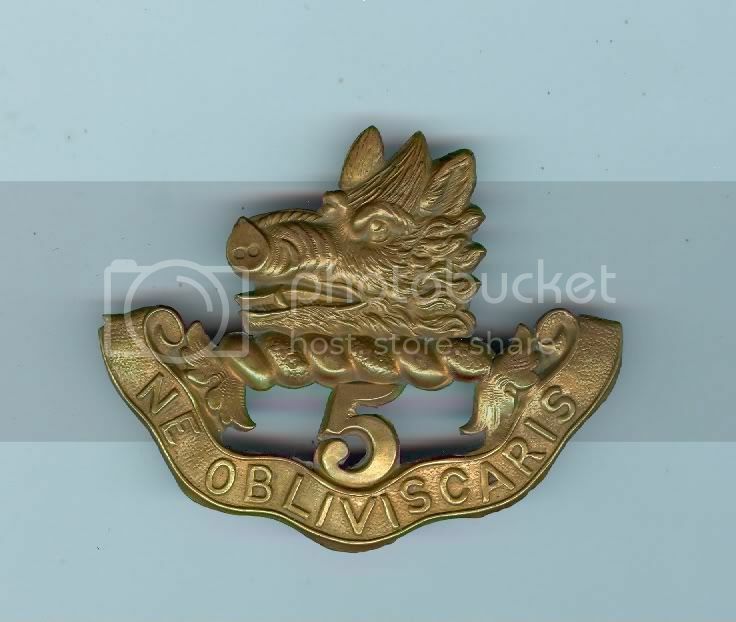 5th Royal Scots officers large silver collar badge facing left 1885 pattern. Last edited by ronmarsden; 20th March 2013 at 18:05. 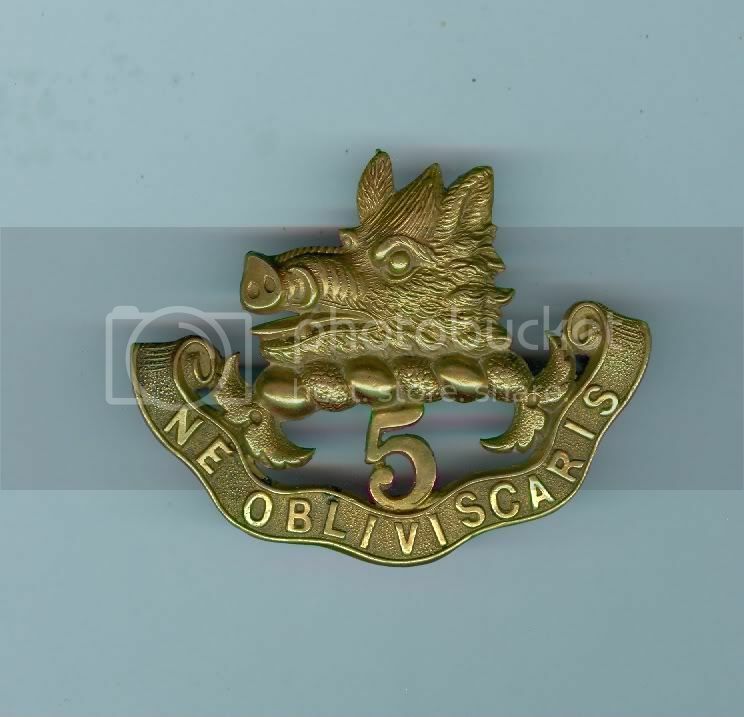 5th Royal Scots ORs brass button for scarlet doublet, by Firmins London. Silver plated pipers doublet button. Last edited by ronmarsden; 20th March 2013 at 18:06. 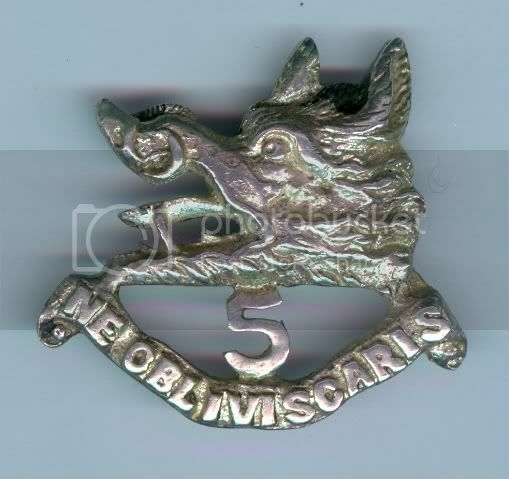 5th Royal Scots ORs 1885 pattern in thin gauge copper with copper loops to the reverse. Last edited by ronmarsden; 20th March 2013 at 18:08. 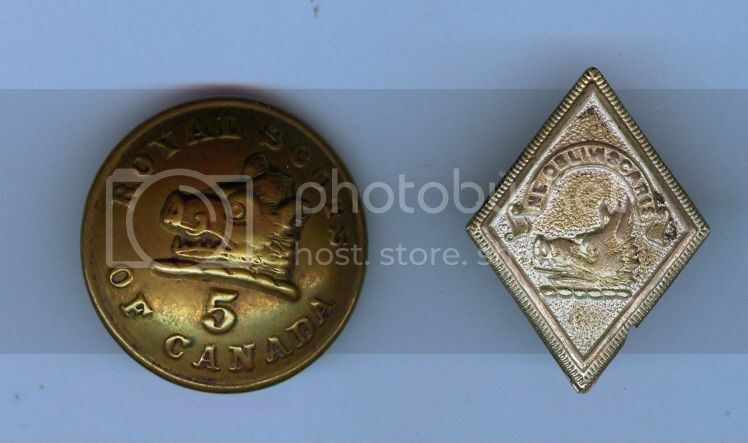 In 1906 Regiment title changed to The 5th Regiment Royal Highlanders of Canada. 1906 ORs undress pattern glengarry badge in brass. Makers tag 'J R Gaunt Montreal'. Last edited by ronmarsden; 20th March 2013 at 18:09. 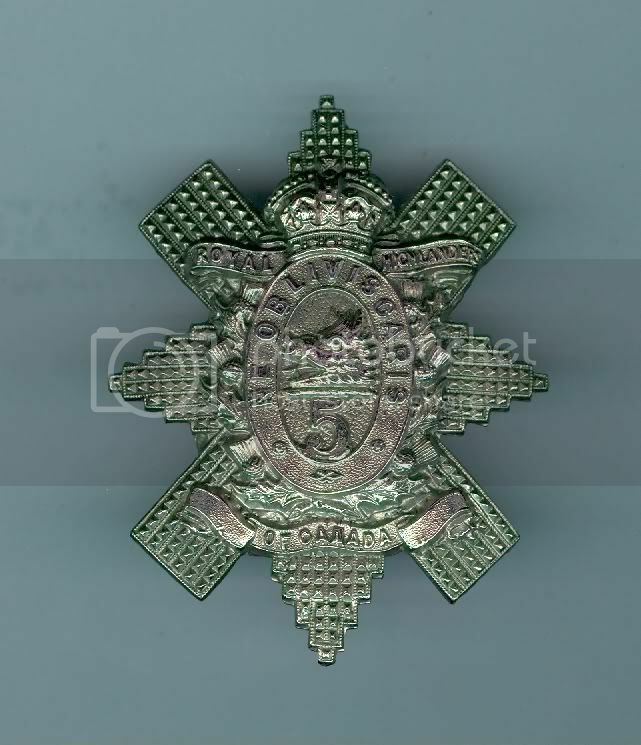 5th Royal Highlanders feather bonnet badge 1906 pattern. Motto reads 'Royal Highlanders of Canada'. Extra long loops to the rear. Last edited by ronmarsden; 20th March 2013 at 18:10.